If you have been reading this blog, you'll know that last month our commission agreed to spend $52,000 for a design from Kimley-Horne, friends of our mayor Mrs. Kreps. The design is conceptual (won't be built) for two pedestrian access plazas on the north and south sides of the bridge to Miami Beach to connect the Baywalk (no plans to build it.) 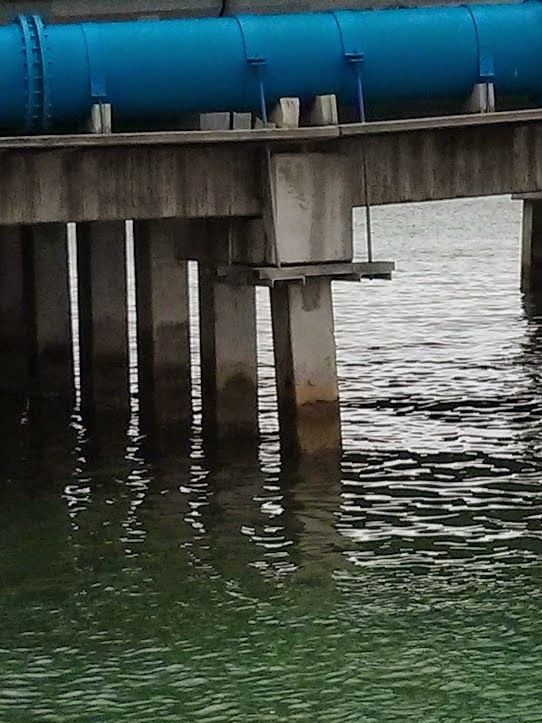 It will run under the bridge where there is about 4' clearance at high tide. When the point was made that the same money could be used to repair the litter box masquerading as The Tot Lot on Treasure Island, Mayor Kreps replied that "we have to think of the future." and then she voted to throw away the money. 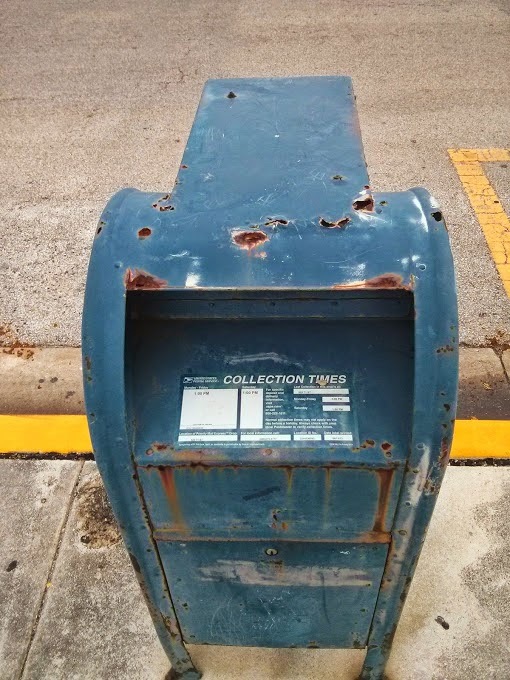 In the meantime, even the mailboxes are rotting out. Here's the one from East Treasure Drive. Want to bet that since no one walks the streets, no one has even reported it to the post office? Mrs. Kreps is right to think of the future because her present is so awful We need to think positive thoughts about the day she is our former mayor. $52,000 for a design from Kimley-Horne? That's over the $9,000 procurement limit needed for a required RFP/RFQ process.